NNA Chairman Milt Valera (right), a Trustee at the Calvin Coolidge Presidential Foundation, was on hand at the organization’s 2015 Summer Gala in Plymouth Notch, Vermont in August. The annual event brings together scholars, political leaders and other dignitaries to honor the nation’s 30th President for his integrity, civility and bi-partisanship in leading the country. Coolidge is the only president to reduce the national budget at the conclusion of his term of office. 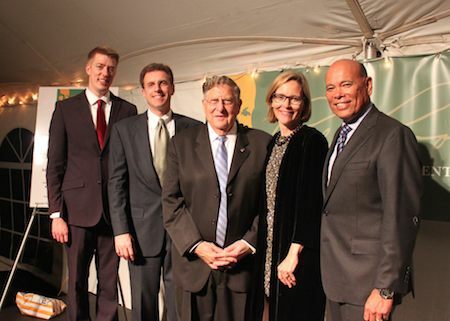 Pictured here with Valera are (from left) Matthew Denhart, the Foundation’s Executive Director; Christopher Coolidge Jeter, Board Trustee and Treasurer and great grandson of Calvin Coolidge; John H. Sununu, former Governor of New Hampshire and White House Chief of Staff; and Amity Shlaes, Chair of the Board of Trustees.